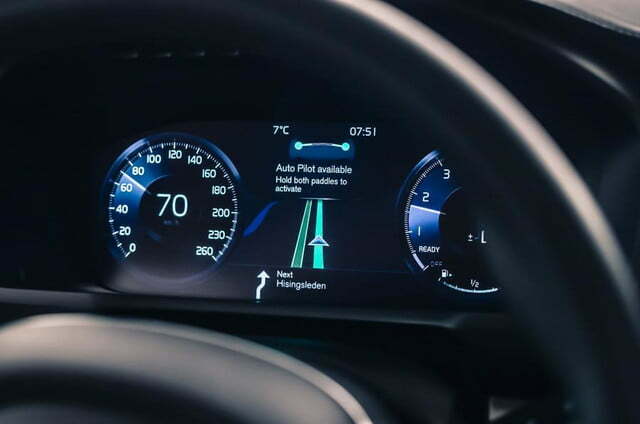 Volvo has revealed its autonomous driving technology, dubbed “IntelliSafe Auto Pilot.” The interface is the best application thus far of a smooth transition between normal driving and automated driving. 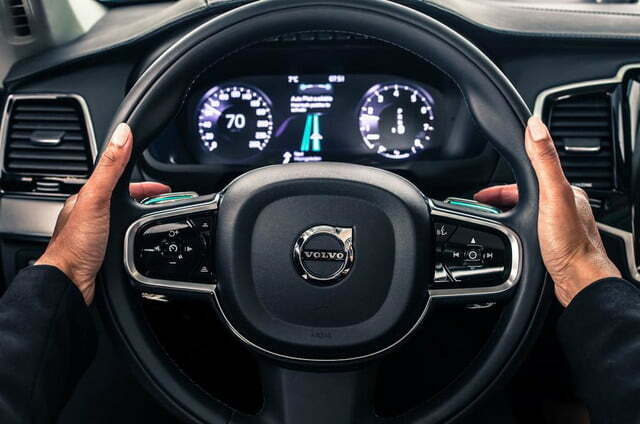 Using the 2016 XC90, Volvo added steering wheel-mounted paddles that illuminate when the vehicle reaches a section of road that has been approved for autonomous driving. Legalized self-driving roads are also shown when a destination is programmed into the navigation system. To engage the Auto Pilot, drivers must place their hands on the paddles for a few seconds. Then, the system takes over for as long as the vehicle is driving on the approved stretch of road. 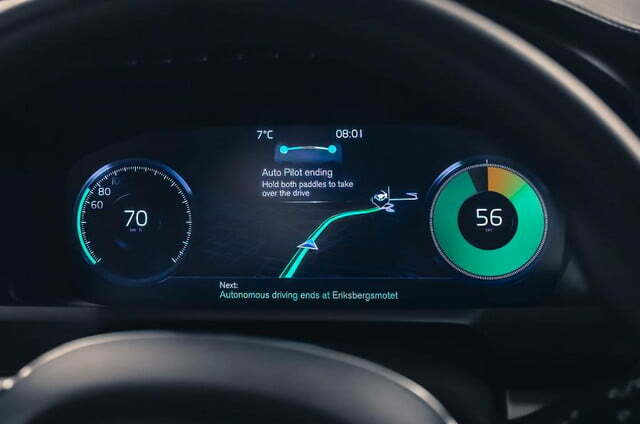 When the car is nearing the end of the autonomous-approved road, it will begin a 60-second countdown before turning off Auto Pilot. In the instance that the driver is unable or unaware that the vehicle is ready to transition back to manual control, the vehicle comes to a safe stop. The autonomous driving technology itself is powered by a series of radars, cameras, and laser sensors to ‘read’ the road ahead. 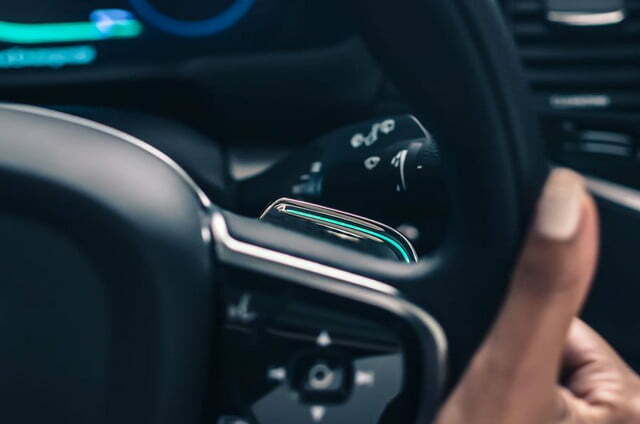 Testing for the interface will take place in several trials and under variable conditions, starting in 2017 as part of the Drive Me project in Gothenburg. A group of 100 Auto Pilot-enabled Volvo XC90s will be driven on 30 miles of selected roads. “We have designed a user interface that is safe and seamless to use so that drivers can confidently transfer and regain control of the car,” said Volvo’s design head, Thomas Ingenlath. The XC90’s involved in the Drive Me project will be customer-owned SUVs, suggesting customers will be able to experience the new interface firsthand. Volvo went on to suggest a “realistic target” for applying the technology to production vehicles would be in 2020. That estimate aligns with Elon Musk’s expectation that federal regulations won’t be approved until just before the end of the decade.